The future is here, and the power of social media videos has never been so evident. An astounding 63% of businesses are now using videos to build brand awareness, promote new products and services, generate leads, and even to promote company culture. Taking your camera and shooting something right away is not advisable. Preferably, take time to brainstorm and determine what you would like to achieve on the social media platform you want to post your video on. Take a look at your target audience and strive to make marketing videos that resonate with their preferences. Spare time to research on your customers to come up with on-point videos that address their concerns. Here are specific tips for creating excellent videos on various social media networks. Since 85% of users watch videos on mute, using subtitles can help engage your viewers and thus get the message across. The easiest way to do that is by using the “generate caption” button on Facebook. Rather than sharing it from another platform such as YouTube, upload the video to your Facebook page directly. By doing this, your video will rank way higher on the news feed. The best social media videos are those that speak to the emotions of the target audience. Thus, make sure to create video that psychologically appeals to your audience by learning what they like and what makes them want to watch your video till the end. Instagram is all about the beauty of things, so it entails a stiff competition as many people strive to make top-notch and visually attractive videos. Thus, take ample time to ensure that your video is easy to understand and aesthetically appealing. There are some other video formats you can use other than the traditional square video. For instance, you can use the horizontal format, which allows you to post your video without having to crop some area out. Doing this is particularly useful when your video does not fit the default square format. You can also use the portrait format. In this respect, when uploading a video to your Instagram feed, click on the “format” icon and select a format that you find suitable. People tend to respond to videos containing other people. So, make sure that your Instagram videos have faces of people and fun activities. Providing that 82% of Twitter users watch videos on the platform, learning how to create a video here is not entirely farfetched, especially to a marketer. So how can you do it? For one, you ought to optimize for mobile. Make your video mobile friendly so that you do not miss out on the many potential customers who use mobile devices. Avoid posting blurry videos or those that take long to load on mobile. Besides optimizing your video, make sure that you put a call to action at the end. This call is simply a prompt to your prospective customers inviting them for further engagement. It can be in the form of asking users to tweet or re-tweet your video. Last but not least, make sure that your Twitter videos tell a story. The point is to offer people a tale they can resonate with while also meeting your goal. This social media platform is action-oriented. Therefore, put more emphasis on what you are shooting rather than on how you are making your video. Shoot your video in the natural light and avoid sudden shifts from well-lit areas to darker places. 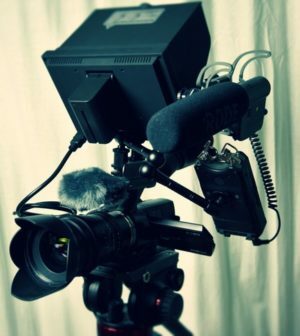 You will need to use a tripod to stabilize your shooting and in turn, create quality videos. Consider using an external mic if you have to interview someone in your social media video or if you happen to be shooting in a noisy place. Buy some quality lenses that can fit into your smartphone to improve the video quality and the overall filming process. Also known as video editing, this is when you can and should make your video visually appealing to the target audience. Work on video aspects such as the intro and outro, transitions, clips rearrangement, trimming, and do not to forget a color correction. Some tools you can use for high-quality video-editing include Sony Vegas Pro, Lightworks, iMovie, Final Cut Pro, Adobe After Effects, and Adobe Premiere Pro. Share Your Social Media Video with the World! Your video is now ready! Feel free to share it on social media. In fact, there are different strategies that might come in handy when making videos. First, you have to make short videos. Strive to make 2-minute videos as these get the most engagement. Another thing is to create a customized thumbnail for your video. And also, do not forget to credit the source of your soundtrack and footage. All things considered, to make successful videos, one should focus on boosting customer engagement, pushing a selling point, and posting the right video for social media (think any of the leading social media platforms highlighted above). Follow the tips put forth in this post for that is how to create a video that appeals to your audience. Alice Berg is a blogger and a career advisor at Skillroads, who helps people to find their way in life, gives career advice and guidance, and helps young people to prepare for their careers. You can find Alice on Twitter and Medium.